The rising development of information technology and high internet penetration have increased the digitalization and technology usage across industry sectors. The flowing capital from VCs (Venture Capital) in Indonesia has taken the agenda even further by helping foster and grow high-quality local startup. This in turn influence the talent market, where today high-quality talents are much need in the modern, dynamic, and growing startup world. East Ventures has invested in more than 50 Indonesian startups from 30 different industry. With its vast growing community of startups, EV is taking the initiative to bridge communications between startup companies and ITB student, especially those at School of Electrical Engineering and Informatics (STEI ITB). In conjunction with STEI ITB, EV held STEI-East Ventures Career Day on April 19th 2016 at Labtek 8 ITB from 9.00 to 15.00 pm. Aside from inviting some of the high-quality EV portfolios (startups), students from STEI, business, and design background were also invited. The event was packed with students and visitors. 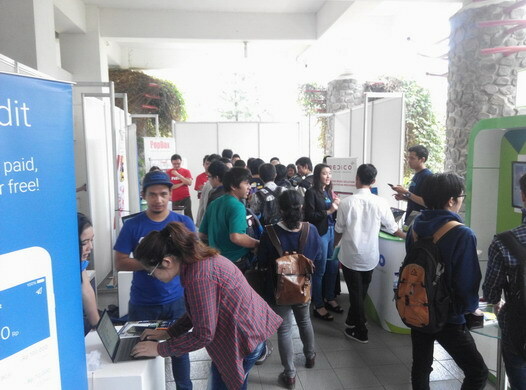 There were 10 startups promoting job or internship opportunities on their booths, namely Jojonomic, Kudo, Rekruta, Airfrov, Ralali, Jurnal, Xendit, Medico, PopBox, and Talenta. More than 150 students attend the workshops and visit the booths along the 6 hours event. Students are excited at the workshop for career, learning about creating a good CV and prepping interview as well as having a chance for CV review with the speakers. On the afternoon, more students come to visit the startups and discuss job opportunities, as well as attending the workshop on startup investment landscape. Along the day, the students asked some interesting questions to the startups and within the workshops. Aside from accepting CV on the spot, some startups also took chance to has a quick interview with the students in the provided room. The event was a great success and a fruitful collaboration between East Ventures and STEI ITB. Both the startups and students had a great time interacting with each other and discuss opportunities.